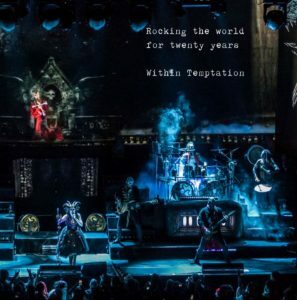 The book with hundreds of photos from 2004 to 2015,. The book was delivered to the band as a surprise and this is what they think of the book. 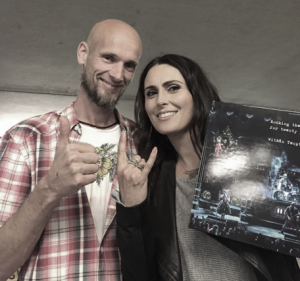 In this year, 2016, Dutch rockband Within Temptation has been rocking the world for 20 years. We dug in our photo archive and were really surprised that we have that many images. The first were made with our first digital camera (Nikon D70 aah gosh). These images were grainy and sometimes not really sharp. The last were made with high end full frame cameras and much better lenses. What a joy to go down memory lane. Anyway, enough images to fill a book. The book contains backstage images that were never published before and many, many photos of the band.